Each film in the original Alien Quadrilogy featured a different director bringing a new approach to the franchise. Ridley Scott's original Alien movie was a horror film, but James Cameron's sequel -- Aliens -- was much more of a sci-fi action-adventure movie. 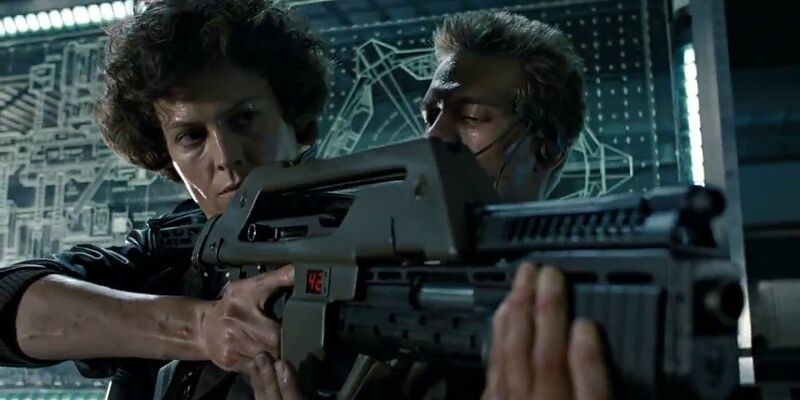 Although Cameron hasn't worked on an Alien movie in a long time, he might not be finished with the franchise. In an interview with IGN, James Cameron and Robert Rodriguez were talking about their new movie, Alita: Battle Angel, when the conversation drifted towards the Terminator and Alien franchises. After praising Tim Miller's work on the film, Cameron was asked if he could contact director Neill Blomkamp after finishing work on Terminator. Cameron replied, "I'm working on that." After Blomkamp broke out with his science fiction hit District 9, he started talking to Fox about the possibility of helming a movie in the Alien franchise, revealing he had ideas for more than one sequel. Blomkamp's plans were shelved when Ridley Scott returned to make Alien: Covenant. In January, Fox remarked that it had no further plans for another movie in the Alien franchise. However, it's unknown if anything has changed since then. In addition to hinting that he was working on another movie in the Alien franchise, Cameron also revealed that Sarah Connor would be fine with Alita, as she has a human brain in a machine body, unlike a Terminator. He also revealed Arnold Schwarzenegger is playing a very different Terminator in the upcoming movie than the one he's played before. On top of producing Rodriguez's Alita: Battle Angel and Miller's Terminator, Cameron is also directing the four upcoming Avatar movies. Alita: Battle Angel hits theaters on Feb. 14, produced by James Cameron and Robert Rodriguez. Terminator hits theaters on Nov. 1, directed by Tim Miller and produced by Cameron. The second Avatar movie, directed by Cameron, is scheduled for a Dec. 18, 2020 release.